Having been consumed by two separate screenplay rewrites the past month, I don’t know how I ever imagined I’d have time to speed-write a loose fantasy novel draft. I’m cluelessly ambitious, I guess. 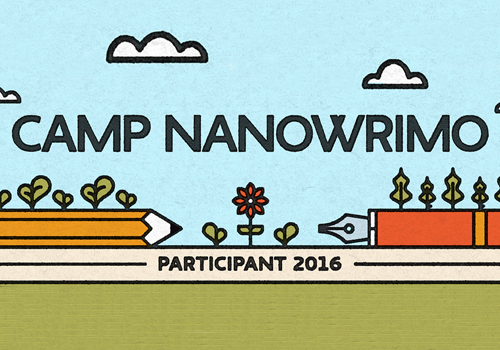 Unrealistic aspirations aside, Camp Nanowrimo (National Novel Writing Month’s springtime little cousin) is a great excuse to congregate with other writers and get some thoughts on paper. All glory to the wretched first draft. Praise be. Until the last year, I believed that the small tweaks and grammar corrections I made to my writing constituted “rewriting.” I heard about people starting over with their rewrites and thought “well clearly they didn’t have this amazing base for their work that I do.” That overhaul rewrite was for other people, not me.